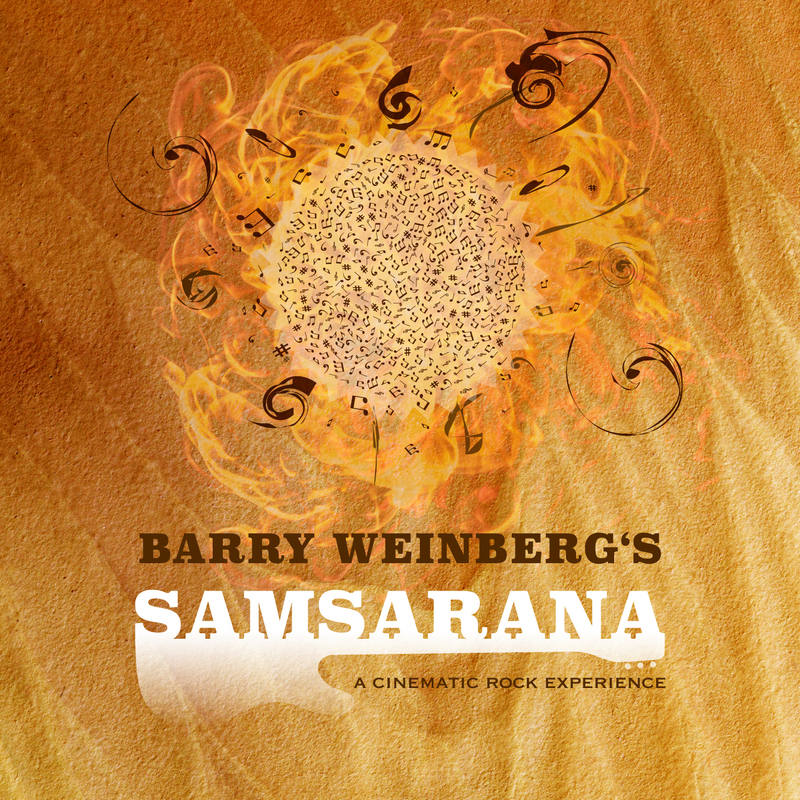 Progressive Rock songwriter from Florida, Barry Weinberg, has spent last five years working on "Samsarana," an album which was launched in January. Follows an interview with the musician where he talks the beginnings of the project, the creative phase, future, and more. Hello, Barry! How are you? Thanx for asking… I’m doing incredible! A lot is happening in my life right now. This album is a life-long dream and it’s finally come to fruition. How did your project come to be? I understand it’s you on your own, no? Throughout out my life, I’ve always played music and been in bands here and there, but I wouldn’t have called it a “career as a musician.” This all changed in 2006. I was at a personal development seminar called Self Discovery Life Mastery, when I happened to overhear a conversation. The seminar leader was describing his vision of producing a documentary film about the Cowboy and Cattleman culture of Florida. It was to be called “Florida Crackers.” (www.floridacrackersmovie.com ) I asked him, “What are you doing for the music for the film?” He said that he was probably going to use stock music. I said, “Wouldn’t it be awesome to have original music for your film?” He agreed. I told him I was a songwriter and I that I would love to write a song for him and his film. He said, “Sure, write something and send it to me.” He said it needed to be a Country song. 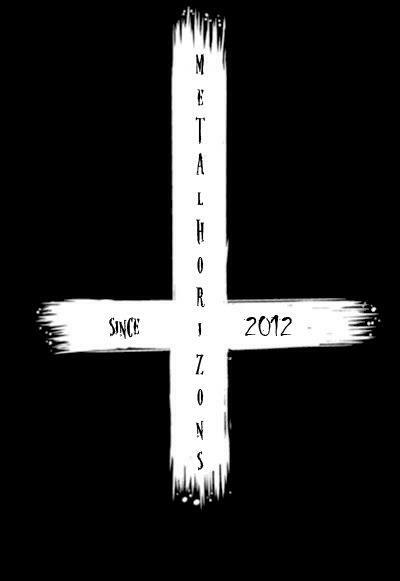 I on-ly ever played Rock and Heavy Metal. How was I going to write a Country song? I didn’t even like Country! Over the next 3 years of the movie’s production, I wrote 18 songs for the movie. During this period, I had the opportunity to be a part of the production….travel to the ranches and hang out with the cowboys. What really impacted me was the experience of going into the studio and recording the music. We brought in other musicians and singers and real-ly produced some phenomenal music. It was an experience of a lifetime and brought back that childhood dream of becoming a Rock Star. When the production was over and the movie was about to be release, I got another call by the producer. He said that the movie would premiere in the Sunrise Theater in Fort Pierce, Florida and if I would like to perform a few of the songs live before the show-ing…in front of an audience of 1200 PEOPLE! Again, I said, “YES!!!! !” My dream was becoming real right before my eyes. After this event and the movie came out, to be honest, not much else happened. I sold a few DVD’s of the music in my office and a few songs sold on iTunes…but the excitement and inspiration I felt during the production of the movie was gone. People would fre-quently ask me what’s happening with my music…and I’d have to honestly answer, “Not much…” I thought my lifelong dream of becoming a rock star was happening….but then it didn’t. Not much happened after that. Then in 2010, a new inspiration came over me. I decided I would write and record my own album. An album that would change people’s lives. An album that would carry my heart and soul and be a reflection of who I am and what I’m about. An album that I would want to listen to over and over again. “Samsarana” was born. The album is semi-autobiographical in nature having written the songs at different times in my life. Putting all the songs together into a cohesive story was a profound reflection on my life. It took me some time (almost 5 years!) to get the recordings just right as it was my first album and I recorded it in a home studio I put together. Having never recorded and mixed on my own, it was definitely a learning experience with lots of up and downs. Many times I’d be intensely frustrated and ready to give up, only to have something “click” and come together almost magically. I did perform all the instruments and vocals on the album, although my wife and a friend perform backing vocals and a fantastic drummer from South Africa, Glenn Welman, who I met online, performed all the drums on the album. How would you describe the music to someone who doesn’t know you and your work? Eclectic! 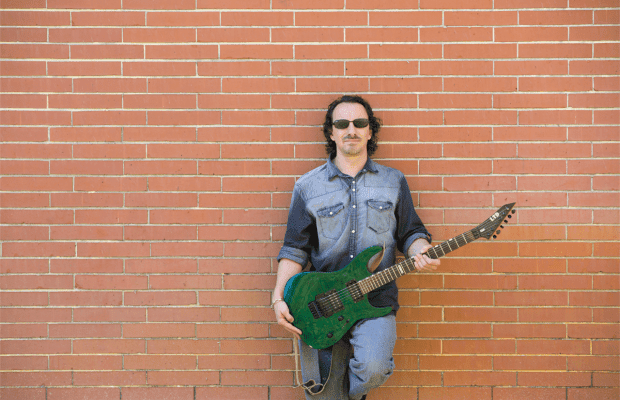 Crossing the boundaries of Progressive Rock, Blues, Heavy Metal, and Orchestral music, this concept album is a "musical novel" telling a powerful human story of life’s challenges, redemption and self-actualization. Which part of the creative process do you find more difficult: creating music or writing lyrics? Did you face any struggles while working on “Samsarana”? Some start as a musical idea and others start lyrically. Sometimes, I record the song as I write it. Then it’s almost like painting…layering the music as an artist does on a canvas. My turning point was when I met Jorge Guzman. Jorge is a classically trained flutist and pianist and an amazing jazz musician. He’s been a music production engineer for over 20 years withhis production company, World Beat Group, LLC. He had an ad online that he was a producer who was looking for a mentor to teach what he knew about mixing and mastering. I gave him a call and we got together. 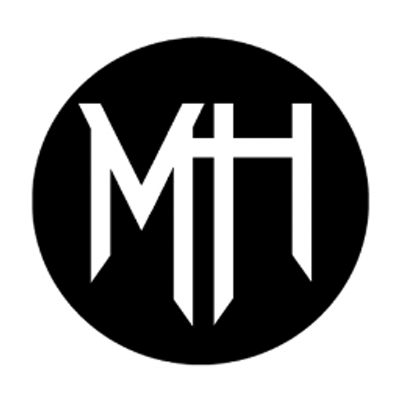 The next 6 months was a rare experience… for what started off as “mixing lessons” turned into a collaborative effort that resulted in the finished album. Jorge taught me so much about the “science” and production of music and I will always be grateful to him for all he gave me. It took me about 5 years to write, mix and complete the album. Is “Samsarana” only a studio project or do you have to tour in support of it? Right now I’m working diligently to spread the word through social media to get the album out to the people. I have no immediate plans to tour or perform the album live, but I do see in the future a big theatrical production of the album. Since I performed all the vocals and instruments on the album (except for the drums), I have to first get a band together. Are you pleased with the music you have created? Is this what you envisioned when you started working on the album? I have always had a very varied taste when it comes to music. I could put on Pink Floyd’s “Saucerful of Secrets”….and then throw on “Reign in Blood” by Slayer or some Pantera… and then I could put on some James Taylor or Vivaldi’s “Four Seasons.” So when I was creating “Samsarana”, I was like, “What would be the ultimate album that I would love to listen to that combined all the styles of music I enjoy on a subject matter thaT fascinates me.” And that’s what I did. I created as a musician my ultimate album as a music fan! So I love what I created! Generally, an album’s artwork is the visual representation of the music. Do you feel this is true when it comes to “Samsarana”? Who created it? In designing the artwork, I wanted to convey the idea of Creation, both musically and universally. Originally, I created a graphic of an eye floating out in space with a child reaching up to it. I sent it to my brother-in-law, Stefan Wewers, in Germany who is a graphic designer and the next day, he sent me back the image that is now on the cover. I loved it and we used it. The album has a companion 13-page art and lyric booklet that is available for download when a person signs up for our fanclub on our website. In this booklet, each song has its own image in a similar style to the album cover. What can you tell me about the theme / lyrical content of the album? Samsarana is a Sanskrit word that literally means “The Wandering,” referring to the endless cycles of Birth, Life, Death, Birth, Life, Death, ad infinitum – hence, the title of the 4th song on the album, “This Vicious Circle. “ In producing this album, I wanted to create a “musical novel” about the Polarities of life and existence…Life and Death, Light and Dark, Good and Evil, Disillusionment and Enlightment. I wanted to create a human story of life’s challenges, redemption and self-actualization. I also wanted to musically represent the cyclical nature of Karma, so the album is circular in nature, the end of the album is its beginning and the last two songs hold a “twist” that become the start of the album leading back into song 1. In conclusion, can you quote your favorite lyrics “Samsarana”? On a lighter note, “Come Out and Play” is all about a high school kid trying to take out a girl and saying all the wrong things, so I love when he says, “I’ve enjoyed our time together since we’ve been apart.” I was hysterical when I wrote that. "Samsarana" is out now; order it from Dream Reality Productions.